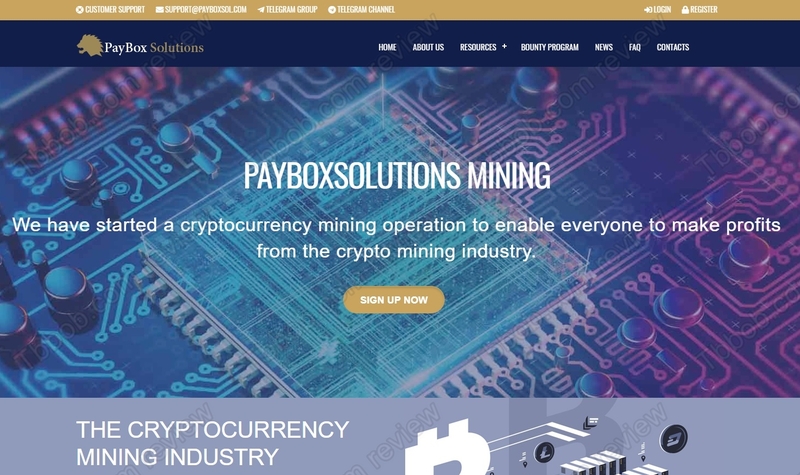 PayBox Solutions claims to by a bitcoin mining service. You don’t have to buy any hardware or run any software, you just have to deposit money and they are supposed to run everything for you. This way you allegedly can make up to 384% per day, so basically becoming a millionaire within a few months. Does it sound realistic? 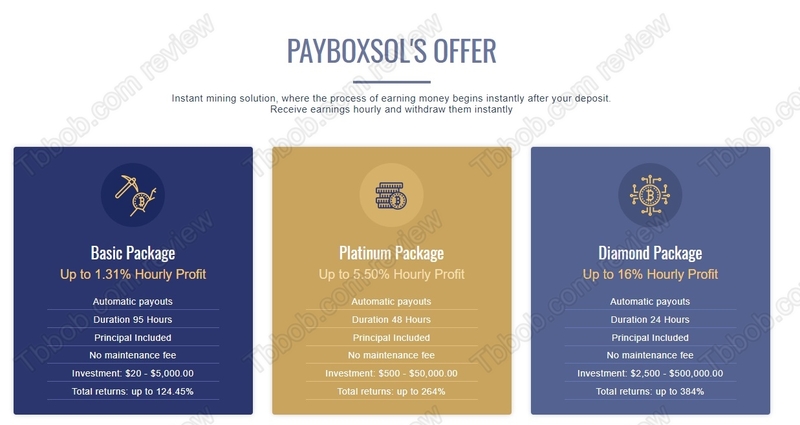 The truth is that Payboxsol is not a mining service, they don’t do any crypto mining at all. Bitcoin mining in reality is barely profitable nowadays, it is because of the low bitcoin price and high electricity costs. 384% per day was never possible in bitcoin mining, in fact, it is not possible in any legitimate business. 384% per day represents 8520% net per month, which is totally ridiculous. Should such profits be possible, nobody would be working, everybody would be a millionaire or even billionaire. Scams like PayBox Solutions typically run as Ponzi schemes. They use newer deposits to pay out some initial withdrawal requests, just to attract more money into the system. But because there is no real business activity going on, the system quickly runs out of money and collapses. This is what will happen to PayBoxSol too, it is just a question of time. PayBox Solutions (Payboxsol) is a scam that is going to lose a lot of money, stay away from it. It is almost impossible to make decent money in bitcoin mining, but you can try bitcoin trading instead. If you are interested, try a free demo account. Should you decide to quit the demo and trad with real money, be sure to understand that in trading you can make, but also lose money.